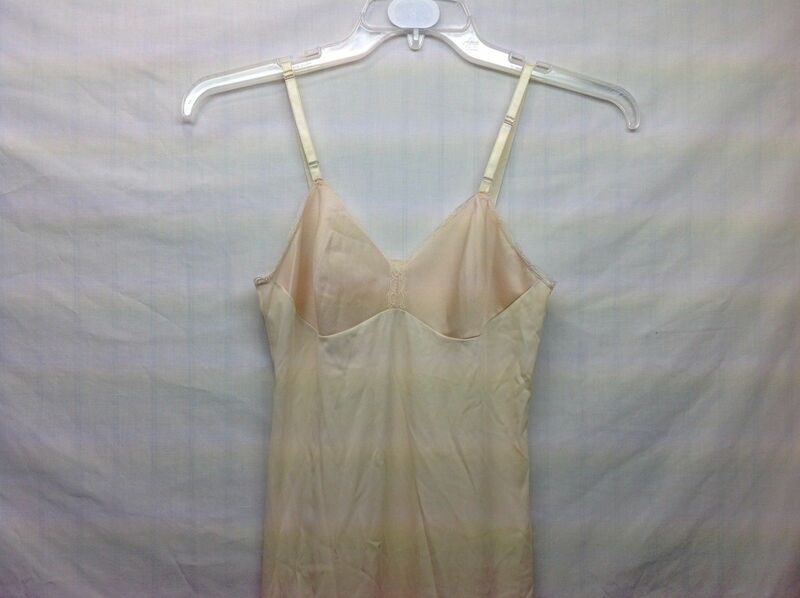 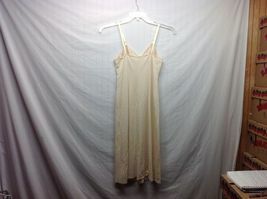 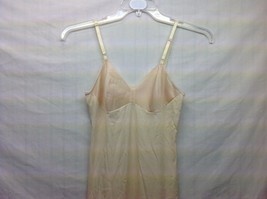 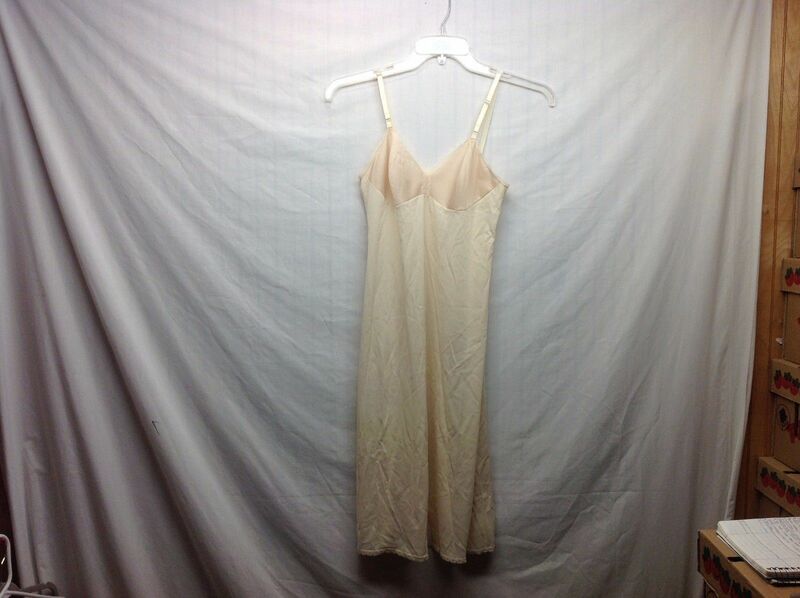 Ladies semi-sheer, ivory/champagne-colored slip dress with lace trim by 'Vanity Fair'! 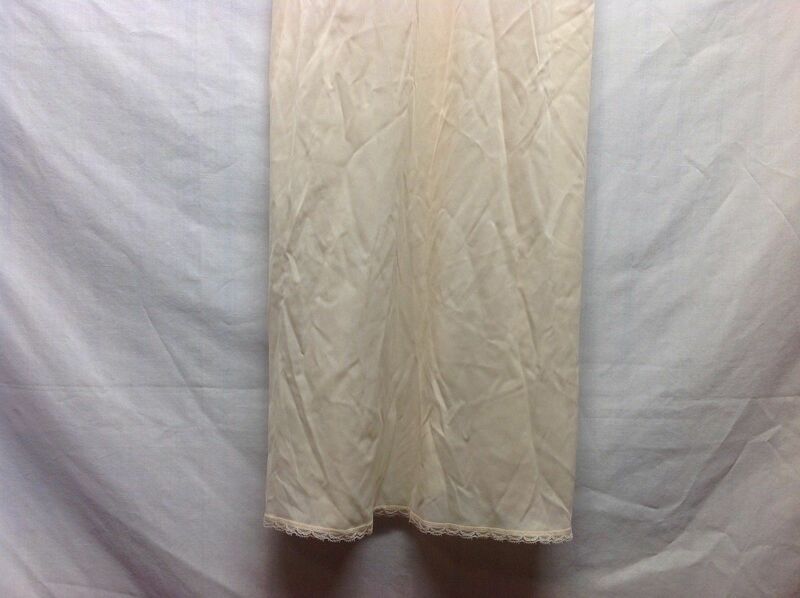 Material - cups - 100% qiana nylon, skirt - antron III nylon, size 32L. Slip is in great condition!